Lowest crime relative to the rest of Dallas county. 100% of residents commute by car. Brand new townhome in Lakeshore Village! Stunning Salerno plan with 4 bedrooms and 3.5 bathrooms with TWO Owner?s suites! The first floor Owner?s suite has a full bath with dual vanity sinks, shower, and walk-in closet. Nailed down hardwood flooring in the main living areas, tile in wet areas, and plenty of storage closets. You will have a large California kitchen open to dining area. Both secondary bedrooms have walk-in closets, you will have a tech center and utility room on the second floor. Second floor Owner?s suite has a separate garden tub and shower and large walk-in closet. Located on the shores of Joe Pool Lake, Lakeshore Village features townhomes that give you lakeshore living at its finest! 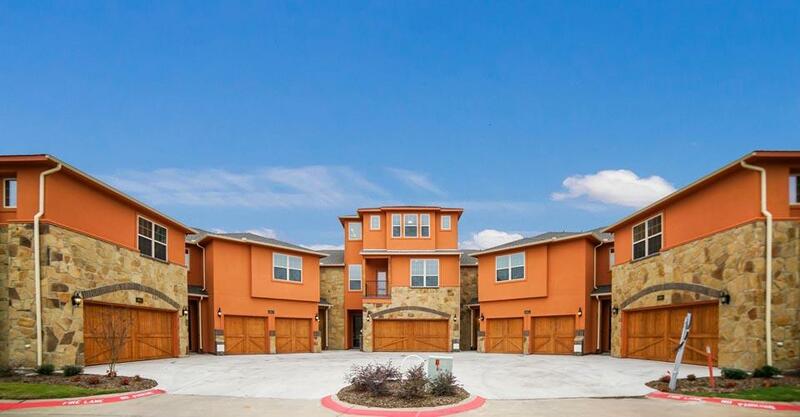 These beautiful Grand Prairie townhomes boast many STANDARD features you will not find elsewhere. Spacious kitchens have stainless steel Whirlpool appliances, granite countertops with designer ceramic tile backsplashes and custom cabinets with crown molding. These townhomes also have double sinks and ceramic tile showers in the owner?s suite. Energy-efficient features include: Carrier 15-SEER heating and cooling system with Puron, Honeywell programmable thermostats, R-38 Insulation on ceiling flats and radiant-barrier decking. All these wonderful features make Lakeshore Village the perfect place to call home! This Townhome located at 2685 Venice Dr, Grand Prairie TX, 75054 is currently for sale and has been listed on Trulia for 69 days. This property is listed by Impression Homes for $328,479. 2685 Venice Dr #5 has 4 beds, 3 ½ baths, and approximately 2,573 square feet. The property has a lot size of 2,546 sqft. 2685 Venice Dr is in Grand Prairie and in ZIP Code 75054.